PRICE DROP FROM $39,995, $800 below NADA Retail!, FUEL EFFICIENT 25 MPG Hwy/18 MPG City! GMC Certified, CARFAX 1-Owner, GREAT MILES 21,430! Denali trim. Moonroof, Nav System, Third Row Seat, Heated Seats, Entertainment System, Rear Air, Aluminum Wheels, Power Liftgate, Hitch, Quad Bucket Seats, ENGINE, 3.6L V6, SIDI, DOHC CLICK NOW! Quad Bucket Seats, Power Liftgate, Rear Air, Heated Driver Seat, Heated Rear Seat, Cooled Driver Seat, Premium Sound System, Onboard Communications System, Trailer Hitch, Aluminum Wheels, Remote Engine Start, Dual Zone A/C, Heated Seats, Heated/Cooled Seats. Third Row Seat, Privacy Glass, Remote Trunk Release, Keyless Entry, Steering Wheel Controls. Pricing analysis performed on 9/23/2018. Horsepower calculations based on trim engine configuration. Fuel economy calculations based on original manufacturer data for trim engine configuration. Please confirm the accuracy of the included equipment by calling us prior to purchase. 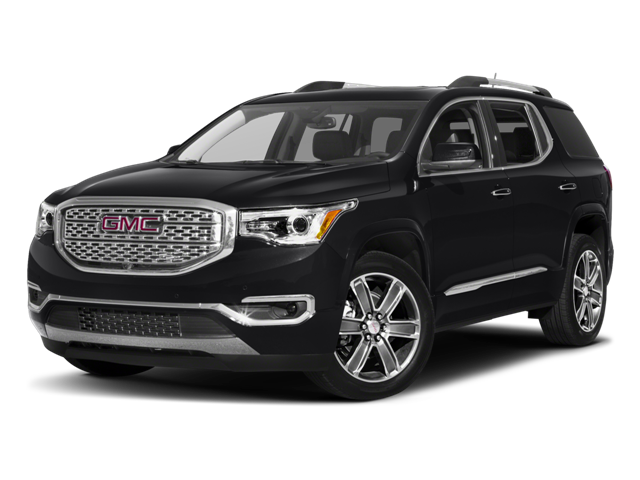 Hello, I would like more information about the 2017 GMC Acadia, stock# GC5703A. Hello, I would like to see more pictures of the 2017 GMC Acadia, stock# GC5703A.